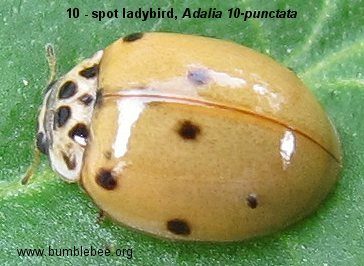 Both adults and larvae are found on vegetation, usually near aphids. Usually seen only in the warmer months, however adults hibernate over the winter, often away from vegetation. Adults and larvae are found on the underside of the leaves of deciduous trees, especially sycamore. Adults hibernate in the trees, in leaf litter and even in the soil. 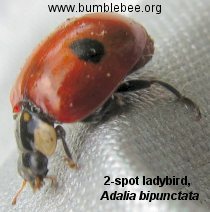 Adalia bipunctata, the 2 spot ladybird. Adults and larvae are found in a variety of locations, but always near their food - aphids. 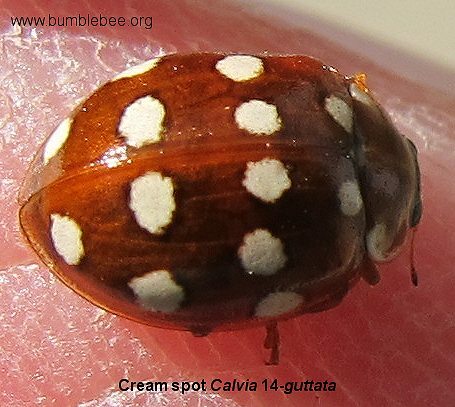 Variation in spot pattern and colour, but always has yellowish legs. Adult body length is 3.5 - 5. 0 mm. 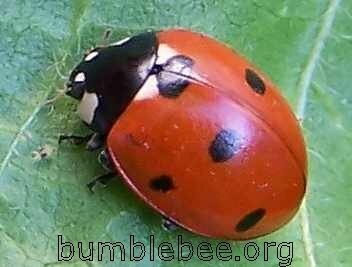 Found on deciduous trees, in meadows and gardens. 4 - 5 mm long. 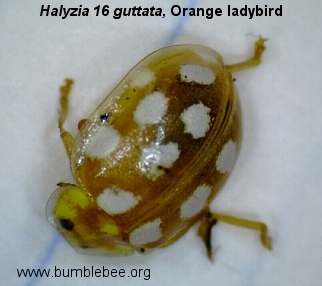 Adults seen in spring on deciduous trees and hedgerows.